Despite having sold in excess of 80 million albums, being a four time Guinness world record holder and having an asteroid named after him, Jean-Michel Jarre has never quite received the critical respect he deserves. Patrick Ryder introduces 10 tracks from across a visionary career that has singularly helped shape modern electronic music. 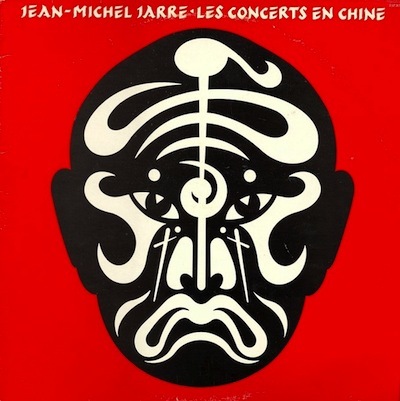 While contemporaries like Moroder and Vangelis have been embraced by a new generation, remembered as pushing their genres forward whilst delivering a series of classics, Jarre hasn’t had a sniff at a tour with any robots or a lavish reissue. Maybe his chart success and fondness for the extravagant is too populist and proggy for the hive mind of music journalists, still romanticising the underground ‘realism’ of punk and post-punk. But as a household name for thirty years, should that matter? In fact, unusually for an artist who’s shipped such a staggering number of units, Jarre has spent a career in step with the beat of his own drum, ignoring trends, pushing the envelope (and every other function invented for a synthesiser) and living entirely out front, on his own terms. And what’s keeping it real if not staying true to exactly who you are? 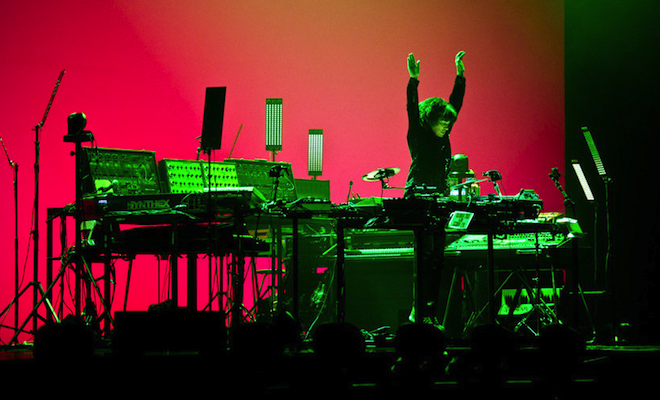 What’s more, he’s produced some of the most sublime electronic music ever recorded, covering new age, ambient, white funk and techno, all with the same trademark symphonic genius. Off the back of a series of collaborative releases featuring Massive Attack’s 3D, Tangerine Dream and Gesaffelstein, here’s a primer into the beguiling world of Jean-Michel Jarre. You can listen to all ten tracks in this playlist or individually as you scroll. 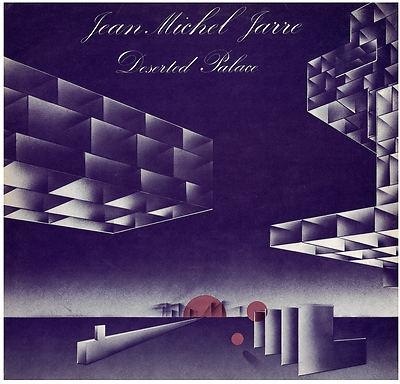 A modest start to the grandiose career which would follow, Jarre’s debut LP garnered limited exposure and still remains one for the die-hards to this day. Even in the context of library music Deserted Palace makes for a challenging listen, compromising mostly of strange synth experiments, discordant tones and skewed fx. However, amid those fragments of detuned synthesis and musique concrète, this seven minute piece offered a glimpse of the shimmering, symphonic compositions ahead. 1973 saw a twenty five year old Jarre following in his father’s footsteps, applying his innate understanding of tone, timbre and texture to his first cinematic score. This instrumental arrangement of the main theme for Jean Chapot’s film of the same name recontextualizes the baroque flourishes and gothic mood of classical orchestration within an eerie, disconnected modernity. Underpinned by a buzzing rhythm and unruly sequences, Jarre’s gloomy organ motif perfectly mirrors the disquiet of the drama unfolding on screen. 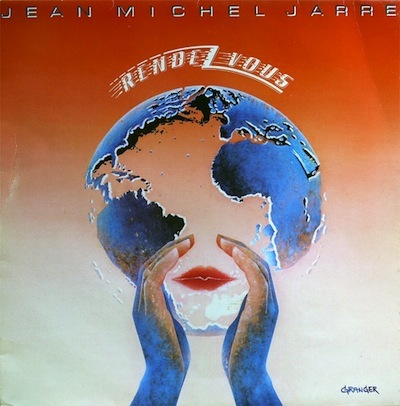 Undoubtedly the Frenchman’s most famous composition, this pulsating beauty floated off the B1 of his 1976 LP and gently took the world under its spell, quickly becoming an established part of our cultural consciousness. Emerging from within the gossamer haze of some seriously celestial frequencies that irresistible melody tugs at your heartstrings and refuses to let go – not that you want it to. It’s simply perfect from whichever way you look at it. 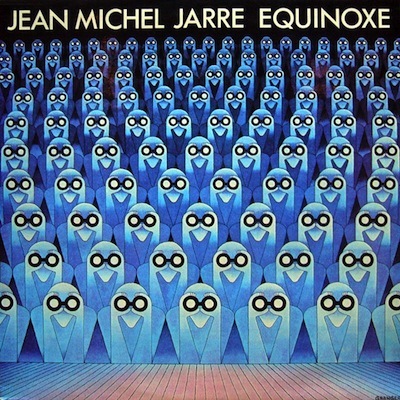 Jarre followed up the breakthrough success of Oxygen with his second classic LP, Equinoxe two years later. Working to the same framework of recurring motifs, symphonic structure and segued movements, the composer guides us on a space age journey through nebulous textures and rhythmic sequences, peaking with this iridescent and dynamic number, which dismayed UK critics but delighted a global audience. As a new decade got underway, Jarre hit upon a new sound, utilising the revolutionary Fairlight CMI to introduce sampling and a whole new sound palette into his sonic universe. More diverse than his previous releases, Les Chants Magnétiques sees the producer dip into synth pop, exotica and new age with far more emphasis on the beat than ever before. 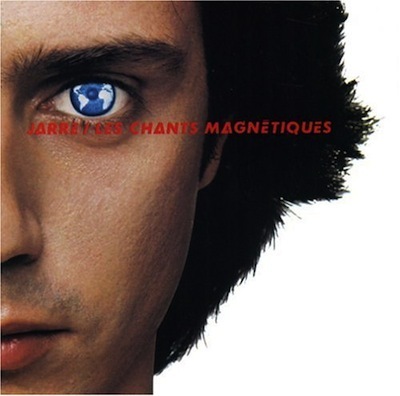 On ‘Les Chants Magnétiques Part III’, Jarre takes a minimalist approach to deliver a blissed-out fusion of dreamy synthscape and organic, diasporic melody. 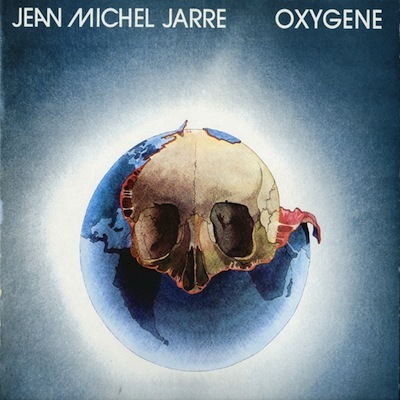 By 1981, Oxygen and Equinoxe had made their way across the globe to China, proving so popular that Jarre became the first Westerner invited to perform in the Republic. Alongside many of his classic pieces Jarre included material specially composed for the occasion in his setlist. Chief among these pieces is ‘Souvenir De Chine’, a sublime arrangement of ambient pads, lithe bass and programmed drums, punctuated by a masterful selection of found sounds and samples. The emotional resonance and unique sound of the track saw it become an end of night staple for both Bepe Loda and Daniele Baldelli, as well as a sunset anthem for José Padilla at Café del Mar. 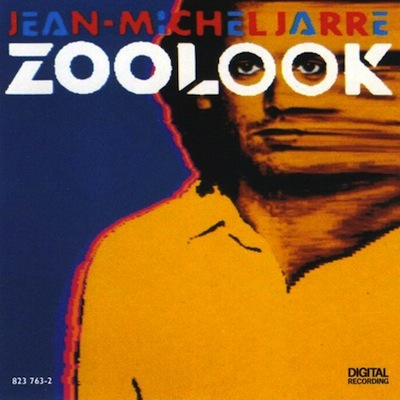 The first of two inclusions from Jarre’s kaleidoscopic pop masterpiece Zoolook, ‘Diva’ saw the French musician team up with avant-garde champion Laurie Anderson for a head nodding, sometimes head scratching, vocal cut. The American’s polylingual vocals are reversed, re-pitched, looped and replayed as the track evolves from a noir-ish prelude into a defiantly weird and warped groove, worthy of the most left-field dancefloors. If I were given the chance to induct one fantasy genre to the Music Hall of Fame, it would undoubtedly be Fairlight funk, and this little beauty would soundtrack the ceremony. Tucked away neatly in the middle of the B-side of Zoolook, ‘Blah-Blah Cafe’ is deranged dance music at its best. Boasting a beat that sounds like a party in a balloon factory, a sequence which sounds a lot like an FM synth talking about vegetables, imitation brass and the occasional spinback, this wonky wonder sounds a million miles away from Jarre’s earlier work and rivals the best moments of Yello, YMO and Material. While Jarre was working on his seventh studio album in 1986, he was invited to perform a concert in Houston to commemorate both the 150th anniversary of Texas and the 25th anniversary of the Lyndon B. Johnson Space Center. Seizing the opportunity to do something truly groundbreaking, Jarre reached out to astronaut and jazz saxophonist Ron McNair for a collaboration, composing this synth and sax duet, with McNair set to record his part from outside the Earth’s atmosphere. Sadly, McNair was killed in the Challenger disaster, and this beautifully mournful piece served as an epitaph instead of a celebration. 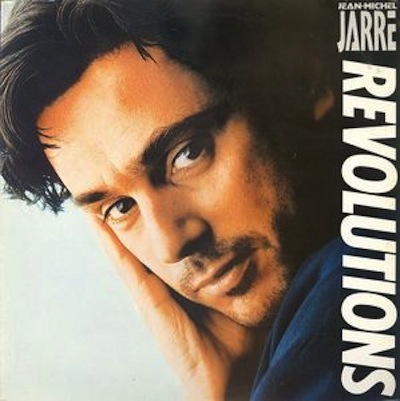 After the soothing new age leanings of Rendez-Vous, Revolutions saw Jarre taking his music to the shadows of the big city, soundtracking the gritty dystopia of the urban sprawl through a series of sombre compositions. This thumping dancefloor cut stood head and shoulders above the industrial tone poems and dislocated synthscapes, hinting at the experiments with trance which were to follow. Although this original version saw him play fast and loose with copyright law, re-appropriating Kudsi Erguner’s ney composition, mind-blowing combination of Middle Eastern flute and rampant bass sequence delivers a total knockout. Still sounding years ahead of its time, I’d imagine it won’t be long before we hear this one reworked for an Acid Arab 12”. Jean-Michel Jarre’s new collaborations will be released on vinyl by The Vinyl Factory on 30th June. While the Massive Attack 12″ has already sold out, you can still grab limited copies of the Tangerine Dream and Gesaffelstein collaborations from our online shop.